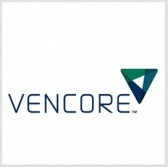 Vencore‘s research arm has received two Defense Department contracts worth up to $14.7 million combined to design, prototype and demonstrate technology platforms for DoD to monitor and measure usage of its radio frequency spectrum. Vencore Labs will develop a spectrum monitoring, recording and visualization platform for deployment to DoD training ranges under the $7.9 million Comprehensive Spectrum Monitoring System contract, the company said Thursday. COSMOS will be designed to help users store sensor data that can support spectrum usage analytics as well as process data from multiple sensors in near real-time. The company noted its research team will also create application programming interfaces to facilitate data sharing with federal spectrum repositories and management systems. Vencore Labs aims to produce a system that can measure multi-band RF spectrum usage for DoD’s airborne telemetry systems installed at test ranges under the $6.8 million Spectrum Usage Measurement System contract. SUMS will be designed to employ a three-dimensional spectrum usage model and geospatial information system-based propagation and channel models from the a spectrum management system prototype that Vencore Labs built for the department’s Test Resource Management Center. The company intends for the system to help multiple DoD agencies track, measure and manage usage of telemetry spectrum used to support test and evaluation of airborne and ground systems. Both contracts were awarded through the National Spectrum Consortium Other Transaction Agreement and will run for a period of three years.